My son is in the process of learning to read. 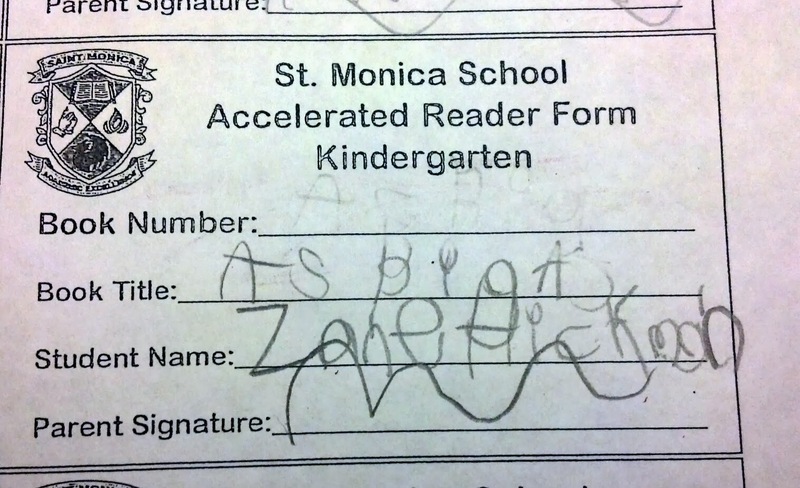 During the school year, the teacher sent home two books every day, and Zane read them to us. 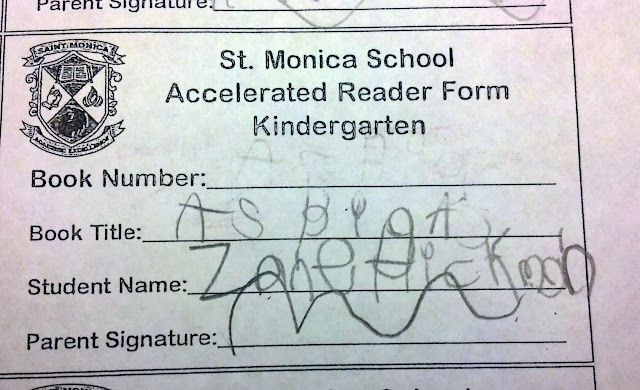 Larry and I were required to verify that Zane had read the books by signing a slip of paper for our son to take to school. Then he took a test on the books he read. It's the Accelerated Reader program; the students earn points for the books they read and at the end of the year they can trade them in for fabulous trips and prizes. It doesn't actually lead to improved achievement scores, but it does encourage reading, so I'm okay with that. Anything that he wants to read, I am enthusiastically supporting. Because Zane has caught the reading bug. Where once he was happy just to look at the pictures or ask me to read to him, now he is trying to read the words on the page. He is even trying to read over my shoulder when I've got my kindle, and I love that. I'm a voracious reader, and I love the idea of passing that habit down to my son. Reading seems to be a dying art in this part of the world, even thought it continues to be a vital part of an education. But perhaps my child is a bit too eager? While cleaning out his backpack, I found this. He decided not to wait for me to fill out his AR slip so he could take the test. He attempted to fill out his name and everything. And he even signed my name for me, too! I had one regret when I found out that I was having two boys (and no more children) and that was that most boys are not as smitten with reading as girls are. Like you, I am a book whore and I always have been. I love words and books and places where both are. Giovanni is a very good reader, he is quick to recognize words and read over my shoulder, but his mathematical mind is better suited for sports stats and team standings. He is not infatuated with books (yet) but Jacob is . Jacob who is trailing behind his brother in terms of what he can read and recognize is constantly making his own "chapter books" of Narnia, Rocky and A Christmas Carol. I love having similar parenting moments with you lately, it's makes me feel less alone and that Zane and Jacob would get along very nicely. I miss the days when my son was an avid reader! My daughter was a sucker for picture books for a long time, but lost interest in chapter books sooner than he did. She is getting lured back a bit for the "right" story. He has moved from war stories to the likes of George Carlin and I am okay with that! I love that my girls still love to read although DD1 is a little Type a and can't sit still enough to read long novels. The boys seem to be picking up books.